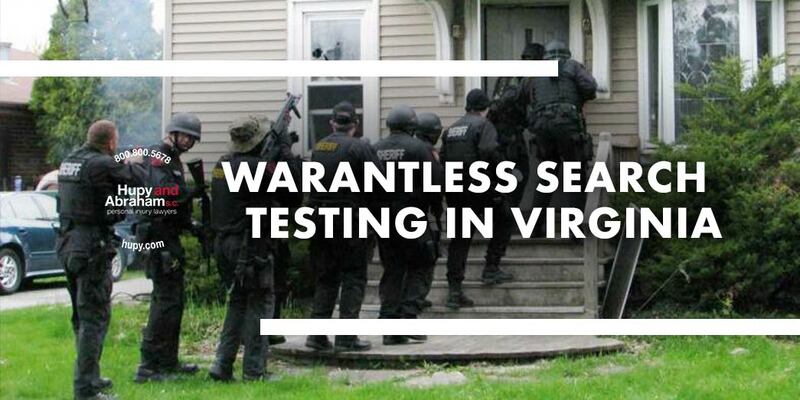 Warrantless Search Being Tested in Virginia | Hupy and Abraham, S.C. The protections of the Fourth Amendment, freedom from unreasonable search and seizure, have been under attack for decades. Most recently, a case in Austin, Texas is receiving much attention on social media. That case involves the police using a traffic violation stop as a premise to photograph a motorcycle club member, including his tattoos. While that case involves questions regarding the legality of conducting an investigation at a traffic stop when the investigation has nothing to do with the original reason for the stop, another drama involving Fourth Amendment rights is unfolding in Virginia. The Virginia case deals with police entering private property to search for a stolen motorcycle. It was a warrantless search that concluded with the suspect being arrested for receiving stolen property (the motorcycle). Whether a crime was committed or not is inconsequential to the crux of this situation. What really is at question is whether police can come onto private party to conduct a search without a warrant. Interestingly, filing Amicus briefs in this case were the Institute for Justice, Restore the Fourth, Inc., National Rifle Association Freedom Action Foundation, National Association of Criminal Defense Lawyers, Fourth Amendment Scholars, American Motorcyclist Association, Conservative Legal Defense and Education Fund, Rutherford Institute, and the Cato Institute. All of these briefs were filed with the U.S. Supreme Court, which is scheduled to hear arguments on the case January 9, 2018. The Supreme Court of Virginia ruled that the search for the motorcycle without a warrant was legal. The Amicus briefs all dispute that notion. The defendant, Ryan Austin Collins, filed a Writ of Certiorari asking the U.S. Supreme Court to review the judgement of the Supreme Court of Virginia. What lies at the heart of this matter is whether the police acted lawfully in conducting the search on Collins’ property. They were looking for the stolen motorcycle, which they had a probable cause to believe was at Collins home. The motorcycle was parked alongside the house with a white tarp covering it. It was behind a car parked in the driveway, away from the front door of the residence. Police lifted the tarp, recorded the VIN and discovered the motorcycle was the stolen bike they were looking for. Collins was arrested. He argued that the search was illegal and the evidence could not be used against him. This wound up in the Supreme Court of Virginia, which ruled that the search was legal under the “automobile exclusion” to the Fourth Amendment. The court relied on a precedent set in Maryland v. Dyson, 527 U.S. 465, 467 (1999). Dyson said, “If a car is readily mobile and probable cause exists to believe it contains contraband, the Fourth Amendment permits police to search the vehicle without more” (a warrant). It’s been a long-standing legal concept that a vehicle parked on private property very near a home is on what is considered “curtilage” and has nearly the same protections from unreasonable search as a home. The automobile exception alludes to the fact a vehicle can be driven off or presents some other obstacle to police scrutiny, and so the Fourth Amendment protections are waived. Nonetheless, two principles apply here regarding the Fourth Amendment. First, in order to get to where the motorcycle was parked, the police had to enter private property without permission or a warrant, which questions the authority of the search. Second, so appropriately pointed out in the Amicus filed by the Rutherford Institute, the auto exclusion refers to the search of a vehicle. In this case, the police weren’t searching the vehicle; they were searching “for” the vehicle. In other words, the exclusion relies on allowing police to search a car or truck for contraband without a warrant. In the Collins case, the vehicle “was” the contraband. Police didn’t search the motorcycle; they searched for it, all the while on private property without consent or a warrant. It will be interesting to see how the U.S. Supreme Court settles this Fourth Amendment question. Meanwhile, the motorcyclist in Texas is suing the police for detaining him and subjecting him to an illegal search while photographing him.